The first step in your college career doesn’t begin with enrollment, or with financial aid applications. Rather, it begins with the gathering of materials needed to make your application to schools and financial aid organizations. Requests for information and materials regarding enrollment in a particular college, or application to a specific scholarship program, must be made formally. And it is important that they be made properly and professionally. Today, most colleges and universities, and indeed most scholarship sponsors, handle requests for information online. However, there are still those organizations that require students to send formal letters of request through the mail. The process of requesting information on a specific scholarship program, or from a prospective college, may seem fairly straightforward. But whether by mail or email, it is important that any formal request for information be handled in a professional manner. To this end, we have compiled some tips, and some templates, to help students compose the letters of request they will need to begin their college journey. Before we look at the templates we have provided for your letters of request, we should talk about formatting and the importance of proofreading. Your letter of request for information, to either a school or a scholarship sponsor, will be the first contact you have with that organization. It may be a cliché, but first impressions do count. When composting your letters, you will want to choose a professional format. Remember, you are not jotting off a note to a friend, but are making a serious request for information on what will be one of the most important experiences of your life. Your college education. Choose a professional format, stick to a businesslike font, and avoid being overly informal in your content. Any correspondence you have with a college, or scholarship sponsor, should be taken as seriously as your application essay. Once your letter has been written, take the time to make revisions. Check for spelling errors, and proofread the letter for any inaccuracies. You may also wish to have a parent, respected teacher, or guidance counselor proofread your letter before you send it off. For requests made by regular mail, it is customary to include a self-addressed-stamped-envelope (SASE) to cover the cost of return postage for the materials you have requested. This is a small thing that many students forget, but a request without an SASE goes to the bottom of the pile. Now, let’s look at our two templates. 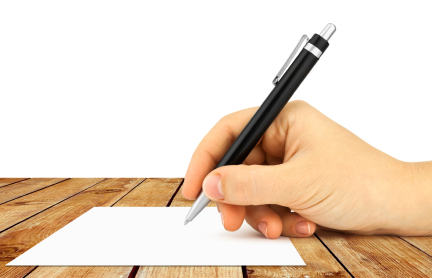 When requesting information from a college or university, you will want to keep your letter concise and to the point. While you will want to include some information on your educational background, this is not the time to expound on your personal career goals. Stay on point, and make your request in a businesslike tone. Use the sample letter below as a template for your request for information from the colleges and universities which you are interested in attending. Briefly, my academic career has been focused on [Subject area, or General College Preparatory] and I have consistently maintained a GPA of [?]. I have also successfully balanced my academic interests with the following activities: [athletics, hobbies, community service, volunteer organizations, etc]. Your request for information to a scholarship or grant program will take much the same form as your letter to a prospective college or university. Professionalism is the key. When requesting information on a financial aid program, however, you will want to use the body of your letter to briefly outline why you feel you are qualified for the award in question. Now, this is not the time to submit a full essay on the subject, but it is a chance to give a brief accounting of your background. Briefly discuss your academic successes, your community service involvement, your plans for the future, and why you believe you are an excellent candidate for the scholarship. I am very interested in [insert the name of the scholarship or grant in which you are interested, be precise] or any other financial assistance opportunities available for [undergraduate, graduate] students. Please send me the appropriate application forms, submission deadlines, and any other information necessary to completing a proper application with/for [name of the organization/title of scholarship or grant]. These letters of request for information are the first step on your college journey, and it is important to give them the attention they deserve. Before sending your letters, remember to proofread them and to double check for errors. Make certain your return address, and all other contact information, is accurate and up to date. Any delay in receiving your information packets will mean a delay in your final application. That could mean missing the deadline for application to your preferred college or university, or missing out on a valuable scholarship or grant.